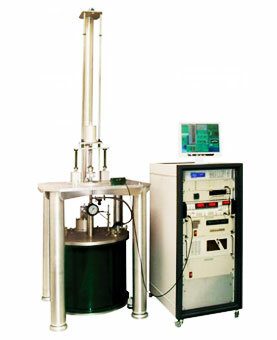 A typical High Field Measurement System consists of a liquid helium or cryogen-free platform, a superconducting magnet (up to 18 Tesla), a variable temperature sample space and a set of special probes to measure different material properties, these include magnetic moment, specific heat, hall effect, Seebeck effect and resistivity. 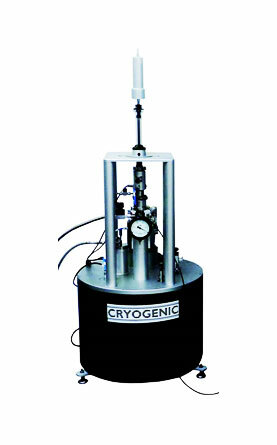 The Cryogen-Free Measurement System (CFMS) from Cryogenic Ltd is a modular research system designed to enable the user to perform a wide range of material characterisation experiments in variable field and variable temperature environments. The base system of every CFMS is made up of a Cryogen-Free Superconducting magnet with an Integrated Variable Temperature Sample Space (VTI). Complementing this is a range of specifically designed measurement modules with associated electronics for magnetic, electrical, thermal property and ultra-low temperature measurements. Magnet configurations up to ± 18 Tesla are available with a standard temperature range of 1.6 K – 400 K. Active shielding is available for magnets 9 T and higher. The Cryogenic Vibrating Sample Magnetometer (VSM) is designed for measurement of the DC magnetic moment of a sample with a noise floor sensitivity of 10-6 and at 10 seconds integration time. In order to generate a signal proportional to the magnetic moment, the sample is set to vibrate in a constant (or slowly varying) applied field. The signal is detected by an astatic pair of pick-up coils. The coils sense the variation of magnetic flux due to the sample movement. The pick-up coils are located inside the Variable Temperature Insert (VTI) within the bore of the superconducting magnet. The signal is detected by a lock-in amplifier. The standard temperature range is 1.6 K to 400 K. Optionally, a sample heater is used to extend the temperature range up to 1000 K.
The magnetometer has an automated gas handling system, and the sample is loaded through an airlock. The VTI can be kept at low temperature during sample exchange, which makes the sample replacement easy and quick. 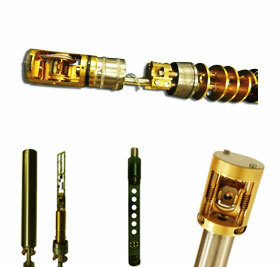 In the cryogen-free VSM special care is taken to isolate the pick-up system from vibrations generated by the cryocooler. As a consequence, the sensitivity of the cryogen-free systems is as high as in more traditional liquid helium machines. Cryogen-free Measurement Systems include an integrated VTI built into the bore of the Cryogen Free Magnet.This provides the benefit of simultaneous ut independently controlled cooling of both the sample and magnet using a single cryocooler.